Himeji is located west side of Hyogo Prefecture. 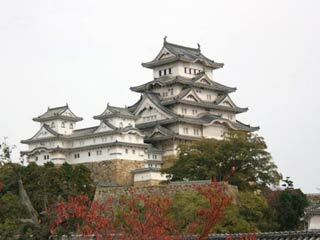 Himeji is originally a castle town with Himeji Castle, a UNESCO World Heritage SIte and National Treasure of Japan and the most beautiful Castle in Japan. Other attractions including the Engyo-ji temple, Mount Seppiko, Himeji Central Park, and Koko-en Garden. There are also many ruins which you can feel the time of Castle Town. Use Sanyo Express Way. Exit at Sanyo-Himeji Higashi. Use Sanyo Shinkansen to Himeji Station.